Our club shop has a variety of clothing and equipment suitable for all ages. We stock the latest range of rackets from Wilson, Head & Babolat for both adults and juniors. If you are unsure which racket is best for you, we have demo rackets available to try. Watch out for our specially held demo days with discount available when you try and buy a racket. We hold a stock of racket bags ranging from the popular backpacks to the more traditional racket bag. 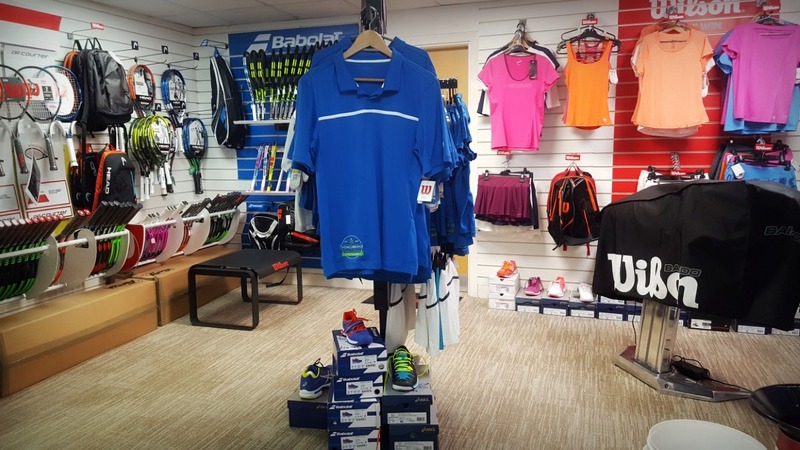 We cater for juniors through to adults with our Head, Babolat and Asics tennis footwear for both male and female. We supply tennis clothing for all ages from Wilson and Head. Our own hoodies can be ordered from reception with your name, logo and colour choice. Useful tennis accessories are available from reception such as grips, balls (red, orange, green and full ball), caps, socks and sweatbands.